The month that gives the welcome to Summer is perfect to make a holiday in Italy: the beaches of Alghero in Sardinia, the beautiful coast of the Zingaro nature reserve in Sicily, the magnificent sandy expanses of Ostuni in Puglia, Palinuro in Campania, Tropea in Calabria, Noli in Liguria and Forte dei Marmi in Tuscany are waiting with open arms to offer you unforgettable days. As for foreign countries, without going too far, Greece with Mykonos and Spain with Ibiza as an elegant solution, but also Malta, in this period, enjoys an excellent climate and allows you to spend the most beautiful days of Sun. Finally, the top of the atmosphere, talking about exotic destinations, is represented by Indonesia and Malaysia with their magnificent sandy beaches. Let us now set to explore these destinations, just to try to choose the best way, the ideal place for your vacation in June. If you are thinking, however, to make a beach holiday in May read our dedicated article. This month is absolutely one of the best to spend a wonderful holiday in Sardinia. The coasts of this wonderful island, in fact, in this period are not yet besieged by crowds of summer vacationers and have some really unique landscapes to be enjoyed in absolute relax with temperatures already around 25 ° C. In June we suggest you visit the spectacular beaches of Alghero including Le Bombarde, Lazzaretto and the Tower of the Marina beach, which will be able to fully satisfy even the most demanding tourists. A much cheaper prices in August, in June you can visit Sicily finding the sun and always very warm sea (with temperatures around 26 ° C), traveling with no traffic and having the chance to visit its beautiful museums without seeing endless queues. The beaches of the Egadi Islands as Cala Rossa in Favignana and Praia Nacchi in Marettimo, the beautiful Island of Rabbits in Lampedusa and the characteristic cliffs of Pantelleria already give an idea of what you can offer this wonderful land, but in fact the entire coastline of the Sicily offers landscapes of extraordinary beauty. The Zingaro Nature Reserve, located in the province of Trapani close to the promontory of San Vito lo Capo and the Gulf of Castellammare, presents the colorful backdrops and very interesting hidden coves. Cala Tonnarella dell’Uzzo, the Cala Cala Capreria and Beretta are just some of the most desirable locations, they do return, in its own right, this beautiful stretch of coastline in the list of the most beautiful beaches of Sicily. 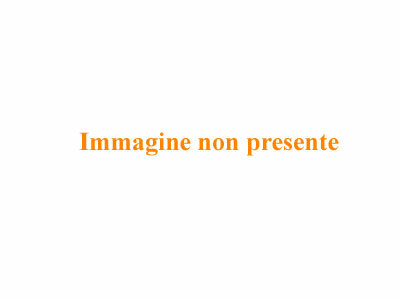 Puglia is one of the most popular tourist destinations for the particularity of its two sides, the Ionian and the Adriatic, which offer very different views among them: for the first sandy beaches and rugged coastline for a second. Average temperatures in June are around 27 ° C, while the water around 22 ° C. A holiday in Puglia means to totally immerse yourself in its magnificent landscapes: the soft beaches of the Gargano, the creeks, often rocky , of Salento and the blue sea of the Tremiti Islands hardly be able to forget. This region hides some beautiful surprises nature as Vignanotica cliff, but also some wonderful beaches. Ostuni, known as “the white city of Salento” for the color of its characteristic houses, is certainly one of the most famous seaside resorts in Puglia. Along its 17 kilometers of coastline, beaches composed of sand dunes covered by Mediterranean scrub alternating sandy and rocky coves. 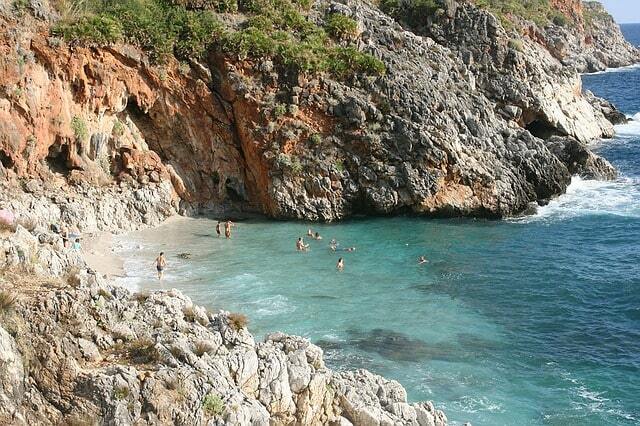 Among the best beaches in Ostuni we note Pozzella Torre, Torre Guaceto and Lido Morelli. The Turkish Bay of Peschici, the Polignano a Mare beach, the beaches of Gallipoli and Porto Selvaggio Nardo Bay are just some of the other most beautiful beaches of Puglia. With the charm of the romantic scenery of the Amalfi Coast, the charm of the wild coasts of the Cilento coast and the charisma of the magnificent beaches of the islands of Capri, Ischia and Procida, to mention the most famous, the Campania definitely has a lot to offer in seaside tourism. In June, the temperatures settle around 29 ° C, while the water turns out to be pleasantly warm with 22 ° C.
Those who spend their holidays in Cilento can not help but visit the famous beaches of Palinuro. Repeatedly awarded the Blue Flag, this beautiful resort really offers beautiful scenery: from the Arco Naturale beach, to Ficocella, the Saline, the coast of Marinella and the Bay of Good Sleep is really spoiled for choice. Among the other most beautiful beaches of Campania deserve a place of honor certainly Cala degli Infreschi in Marina di Camerota, the Baia di Trentova Agropoli, the Dead Horse Beach at Maiori, the beach of Marina Piccola of Capri and the beach Citara Ischia. 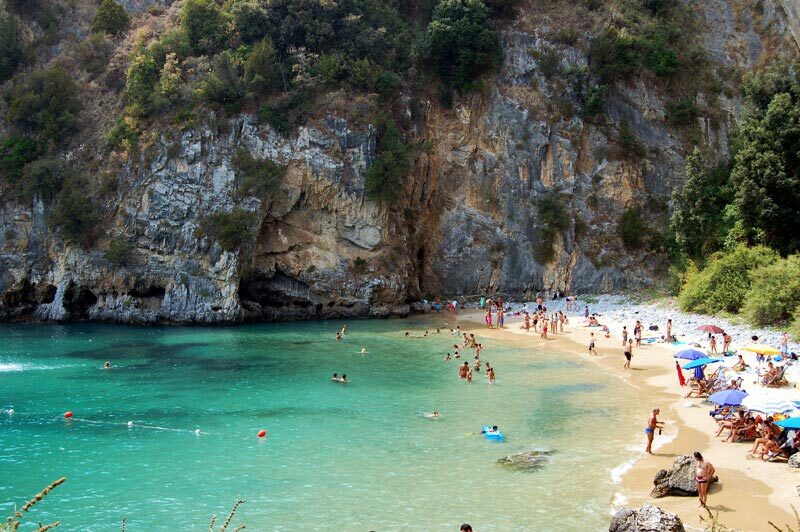 The land of red pepper contains some of the most beautiful beaches in Italy. In fact, the tip of the Italian boot has reached 780 kilometers of coastline surrounded by a really beautiful natural environment. The Mediterranean characterizes the landscape of the coastal area with oaks, brooms, maritime pines and flavored plants, making the spectacular panorama. The climate in June is similar to that of Campania with temperatures hovering around 29 ° C, with a water temperature of 23 ° C.
Tropea is rightfully called the Pearl of Calabria; crystal clear waters and magnificent white beaches characterize its shoreline making this country a much sought after destination for tourists from around the world. 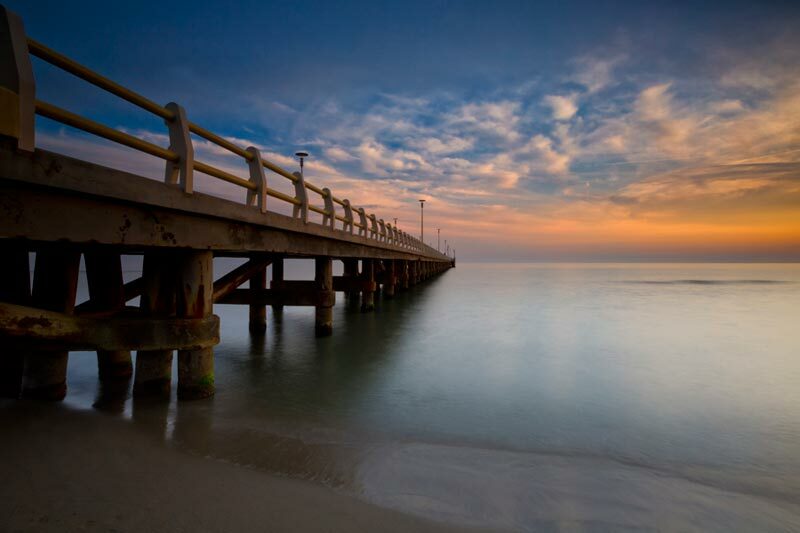 The Rotonda Beach and Grotticelle Bay represent the best the Italian scene has to offer. In addition to Tropea and to some very special places, unique in the world, such as the Great Arch beach, Calabria offers many other wonderful coasts: Caminia near Catanzaro, Santa Sunday fall in Vibo Valentia and the tuna fishery in the province of Palmi Reggio Calabria are some of the best beaches in Calabria. We continue our little “Tour of Italy” with Liguria. The Ligurian Riviera is likely to be visited at any time of year thanks to its climate typically Mediterranean; Here, in fact, the swimming season begins in May and June is definitely one of the best months to enjoy its beauty. The temperature during this month ranges around 25 ° C, while the water settles on 21 ° C. Characterized by breathtaking scenery overlooking the sea, Liguria has a coastline made up of beaches truly unique in their kind, which are very suggestive thanks to the natural context in which they appear. Noli is a small, charming fishing village, nestled between the mountains and the beautiful Ligurian Sea. This country has a long history; still are many testimonies present within its narrow streets. On its sandy coast, the fishermen sell fresh fish, returning early in the morning from their fishing: a beautiful tradition, still very much alive, which is a special feature that distinguishes this pretty village. The beaches of Noli are all equipped and are divided between bathing facilities and stretches of free coastline. 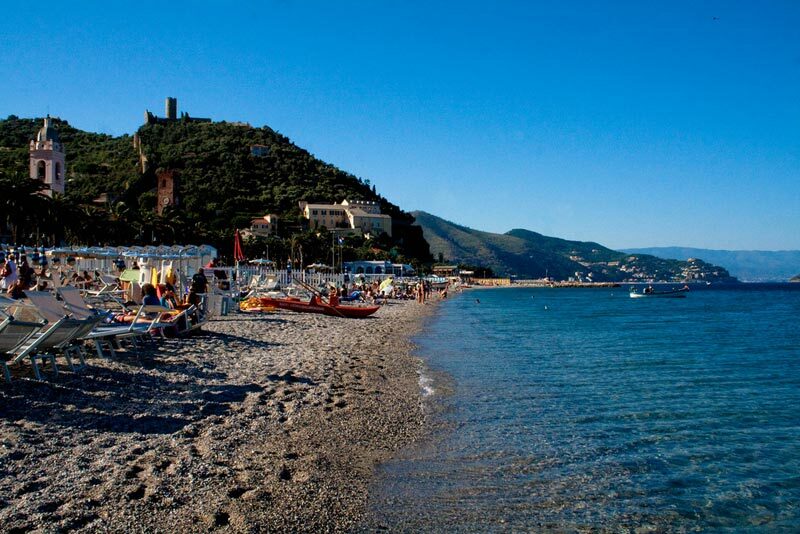 Among the most beautiful beaches in Liguria we can also mention Punta Crena of Finale Ligure, Baia dei Saraceni in Varigotti, the Lido delle Sirene in Bergeggi and Blue Bay of Lerici. The climate in Tuscany, already generally very mild, in the month of June is characterized by very long days and a nice warm sun. Temperatures in the seaside resorts coming up to about 26 ° C, while the sea ones are around 21 ° C. In addition to the magnificent beaches of the island and those of its smaller islands, Tuscany offers a panorama on its shores diversified which allows you to meet any type of tourist. Forte dei Marmi, in Versilia, for many years is considered an “in” destination due to the presence of many celebrities who regularly attend its crowded nightclubs, its luxury shops and its restaurants. The beach, which stretches for about 150 kilometers, is entirely composed of fine golden sand and has the advanced bathing establishments able to satisfy even the most demanding tourist. In addition to the Versilia coast, among the most beautiful beaches of Tuscany we can definitely mention, for example, in Scarlino Cala Violina and Cala Giovanna Isle of Pianosa, Fetovaia Island of Elba and Cala Moresca in Piombino. Among the many useful tips we provided for a beach holiday in Greece, there is definitely the one to visit it in June. This month is the perfect time when you still fail to find a balance between cultural visits to archaeological sites, yet not too crowded, and soothing baths in the beautiful waters of the sea that never drops below 20 ° C. Among the magnificent beaches of Zakynthos, like the wreck, the charm of Corfu landscapes and the spectacle of the Baie of Kefalonia Myrtos Beach, we find the beautiful Cyclades islands. 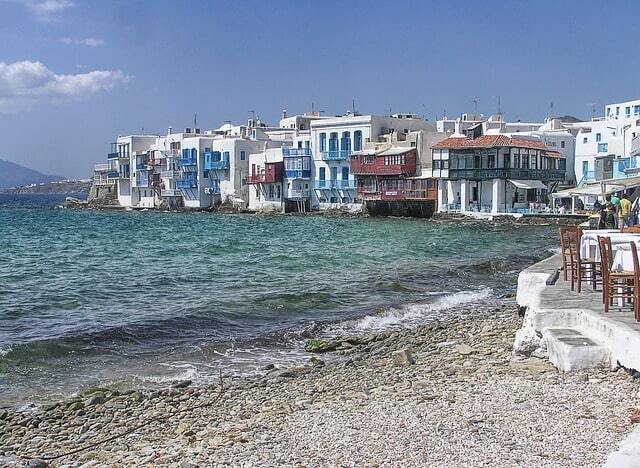 Mykonos, in particular, Paradise and Super Paradise Beach, the beach of Ornos and Elia has to offer varied and interesting, unique in its kind. June is the month of the longer days and offers the ability to make low cost holidays being able to savor the beauty of the beaches and the sea, yet with a certain tranquility. Spain, Italy easily accessible from their own transport or other means of transport, offers, with its unspoilt coastline, the particular landscapes with already optimum temperatures settle around 25 ° C. Among our ideas for holidays in Spain you can find the most popular coasts of Costa Brava (with Cala Morisca in Lloret de Mar or Palamos Cala Estrela), but also the wildest beaches of the Murcia area (with Playa de la Mota in San Pedro del Pinatar or Playa Blanca Cartagena). 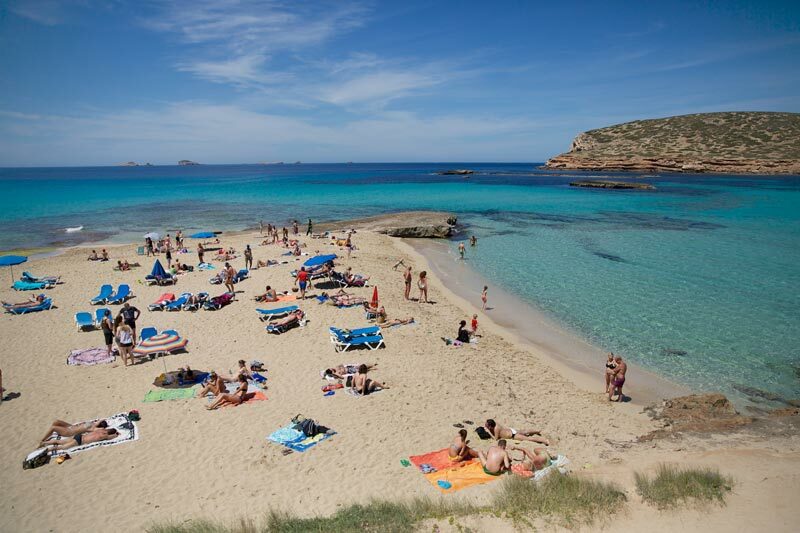 Finally, between the beaches of Ibiza, we find some magnificent coasts as Las Salinas, Playa d’En Bossa, Cala Comte and Agua Blanca, in this month, you are still very livable and rich in satisfaction, making this island one of the destinations most desirable in this period. For a holiday in June, Malta is a very viable alternative to satisfy all types of tourism. Due to the particular climatic conditions, with a temperature of about 28 ° C and sea around 21 ° C, and the presence of beautiful beaches, lagoons and towering cliffs, this particular island really arouses much interest and could be a real surprise at the expense of many other goals even more famous. 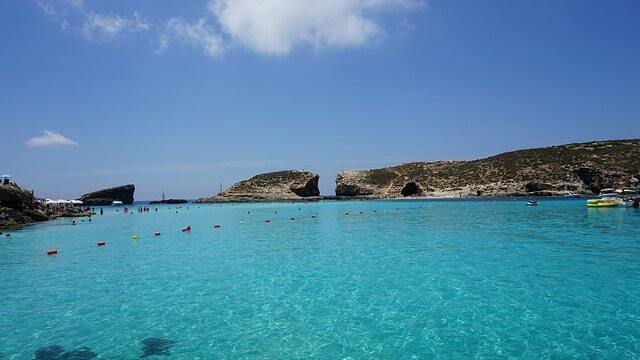 The beaches to do in Malta are those of Blue Lagoon on the island of Comino, Mellieha Bay, Golden Bay and Paradise Bay. 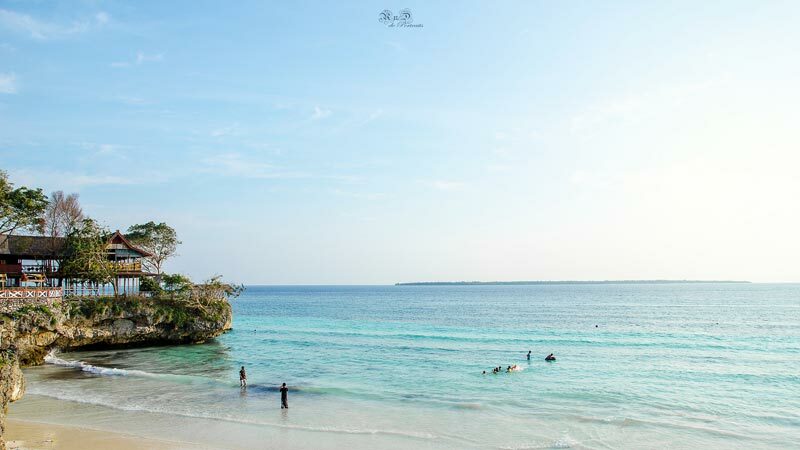 It possesses one of the most beautiful coral reefs in the world, but especially many gorgeous beaches. This little piece of paradise by the name of Indonesia! In June this beautiful country enters its ideal climate; at this time of the dry season, in fact, it made his way and replaces the rainy, giving a very pleasant climate with temperatures hovering around 31 ° C and a water temperature that is always close to 28 ° C. Considered one of most sought after destinations in the world romantic, this fantastic archipelago, made up of over 17,000 islands, has unique beaches in their kind as, for example, those of Raja Ampat in West Papua, that of Tanjung Bira in Bulukumba or those of Tanjung Tinggi Belitung Island. 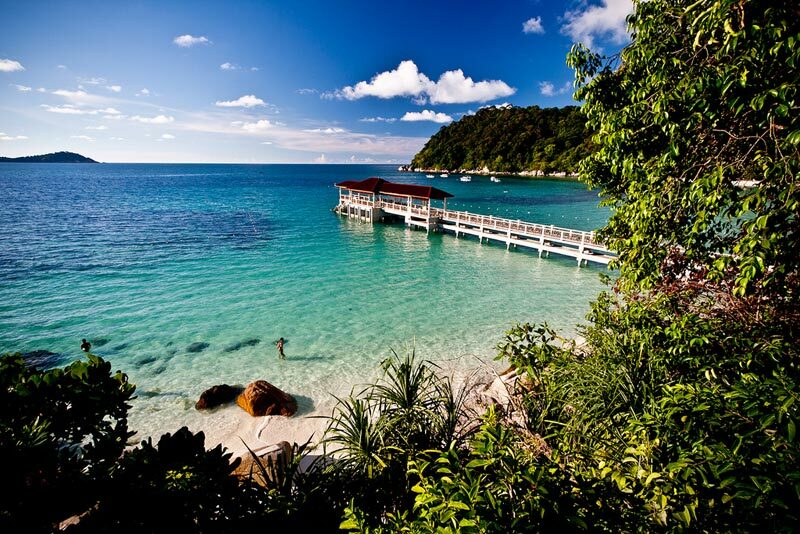 If you are looking for an exotic destination in June, Malaysia is the place for you. The climate of this country is mainly equatorial and temperatures are high and stable during all periods of the year. In June, in particular, reaching 33 ° C, while the sea settle at around 30 ° C. Some of the most beautiful beaches are located in the Perhentian Islands, Long Beach and Coral Bay to Kecil, in the archipelago of Langkawi , Vivanta by Taj Rebak Island and Datai Bay and the island of Mataking Island located in the south-eastern Sabah. Malaysia, with its rich fishing grounds of fish and corals, is absolutely the ideal destination for diving enthusiasts, who, in this sea, can experience the incomparable emotions and return home with fond memories. If you can choose your holidays, do not hesitate to schedule them in June, absolutely one of the best months to enjoy the beautiful sunshine, clear blue sea and especially lower prices than the seasonal average. Whether your destination is an Italian beach or an island in the world, for sure your choice will certainly be a great deal!